Not only is pizza one of the most delicious foods on the planet, it captures people’s hearts like nothing else. Pizza is always going to be everywhere. It's not a fad or a trend. So treat your sweetie with a giant Chicago style pizza to celebrate this Valentines Day. 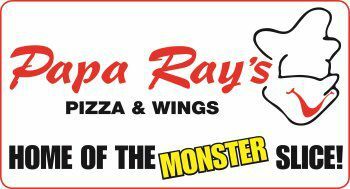 At Papa Ray's Pizza & Wings, we have the freshest ingredients and are sure to please your loved one(s). Take advantage of our online ordering and give your sweetie a Valentine's Day treat.